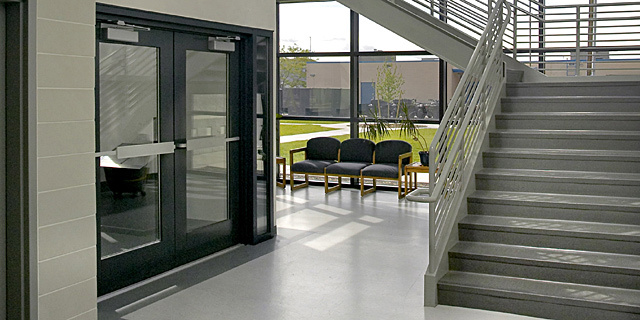 Standard-sized hinged doors are preferred for all partition types; use sliding, coiling, folding or other configurations only when functionally required. 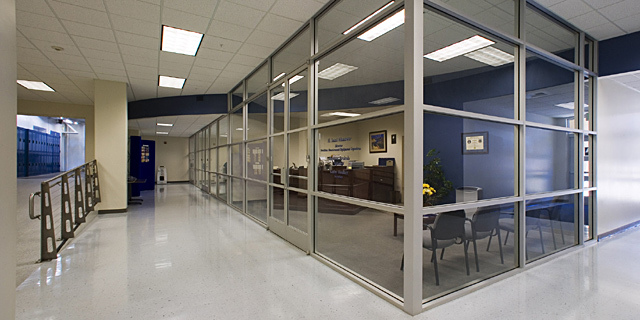 Doors may have small glass vision panels, top lites or full lites where operationally beneficial. 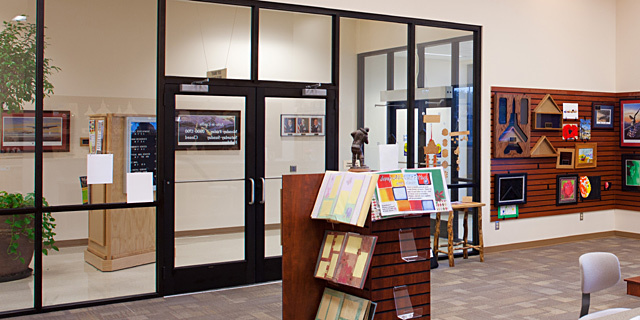 Doors may be of different materials than the frames and may cost-effectively include transoms and sidelights. 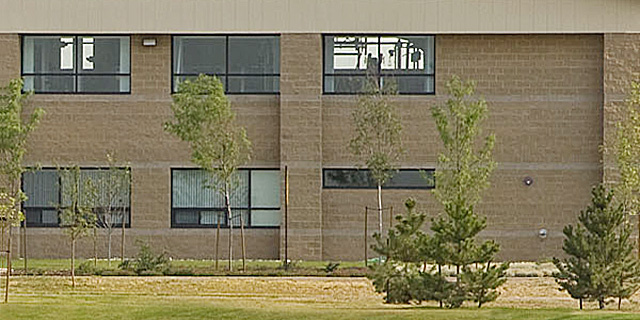 Wood-veneer solid-core doors and aluminum frames may be used in high-visibility areas of Group 1 and 2 facilities. 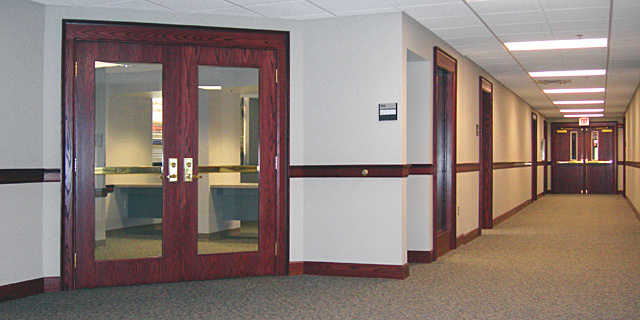 Raised-panel wood doors may be used in Command centers in Group 1. Hollow metal doors and frames are preferred for Group 3. 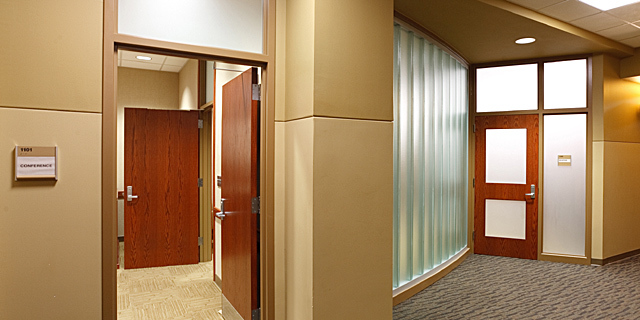 Plastic-laminate veneer may be used on solid-core doors in medical facilities and other applications when maintaining cleanliness is operationally required. Paneled textured doors are preferred in Group 4. Do not use hollow-core wood doors. Cost-effectively locate operable interior windows to facilitate natural ventilation and air flow; sliding windows are preferred. Locate interior windows to maximize daylighting. 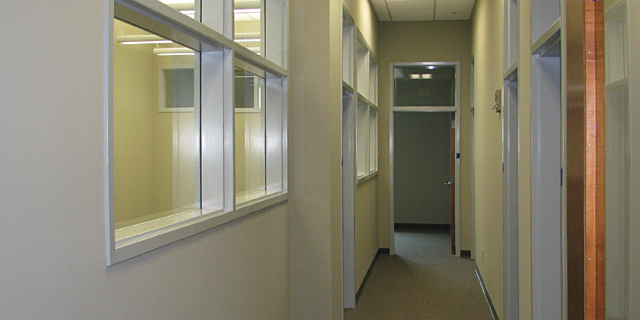 Translucent glass may be used when privacy is required. 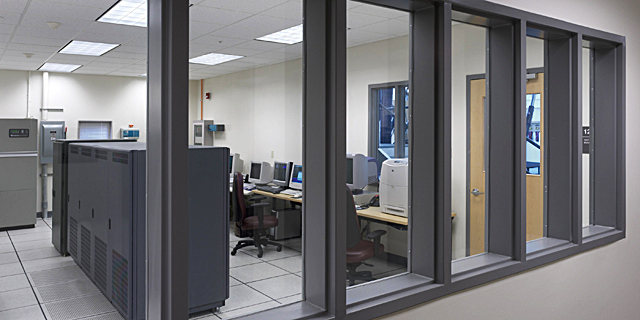 When natural ventilation is provided, design cost-effective operable windows in interior partitions.